If you are waiting to get your hands on the latest and greatest of Google’s Nexus Android smartphones and tablets, the last month or so has been both exciting and disappointing. Google announces new Nexus smartphones and tablets when it ships new versions of Android. With every sugary dessert iteration, avid Android fans get flagship devices running unadulterated Android (free of the skins and bloatware from manufacturers and carriers) to satiate their geeky desires. The only problem? Google hasn’t announced a new version of Android yet. And there is no firm timetable for when it will. Google had set a pattern of announcing the newest Android versions at its I/O developer conference over the last couple of years. Android developers got lots of goodies from Google this year at I/O (Android Studio and a bevy of monetization tools) but a shiny new version of Android was not among the announcements. To make up for the missing Android refresh (and the related lack of new Nexus devices), Google has made deals to bring the stock Android user interface to the most popular smartphones currently on the market. 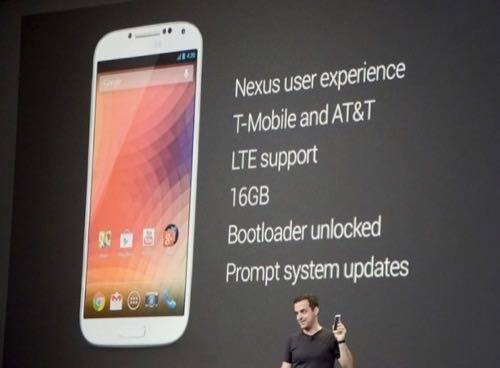 Google announced the availability of a “Google Edition” Samsung Galaxy S4 running the Nexus user interface during the I/O keynote. The well-received HTC One will also come out with a Google Edition Nexus version. Gadget manufacturer LG shipped a white version of the Nexus 4. Both the Google Edition Galaxy S4 and HTC One with the Nexus user interface will be available on the Google Play store on June 26th and will be unlocked and ready to use on T-Mobile or AT&T in the United States. The price will be fairly steep though, with the HTC One selling for $599 and the S4 for $650. In comparison, the Nexus 4 from LG was only $299 when it was released in November 2012. I was sitting in a room with a Google executive on the Android team shortly after the I/O keynote address. Ostensibly, we were taking about apps. Lots and lots of apps. Yet I couldn’t ignore the elephant in the room. The exec smiled. This question was not unexpected. 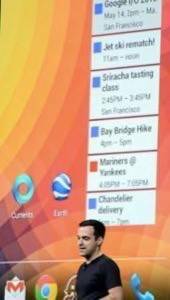 Google did not announce a new version of Android during I/O. Not a new version of Android Jelly Bean or the rumored Android 5.0 Key Lime Pie. Nothing. “When it’s ready,” she said.  That is a very Apple-like response from Google and not one that the company has employed previously with Android. Google historically has released new versions of Android at a breakneck pace as it worked to create feature parity with iOS and other mobile platforms. 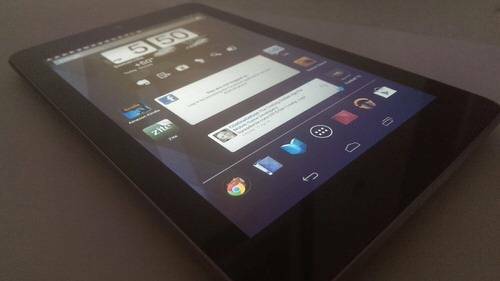 That parity was largely achieved with the release of Android 4.0 Ice Cream Sandwich and arguably surpassed since with the two updates of version 4.1 and 4.2 Jelly Bean. Google now has the ability to be patient with the next release of Android as opposed to iterating something minor on the top of what has become a stable, feature-rich platform. The longest that Google has gone without announcing a major new named version of Android has been seven months (between version 2.1 Éclair and 2.2 Froyo and again between Froyo and 2.3 Gingerbread). Google has already gone seven months between its last platform update (with Jelly Bean 4.2) and almost a full year between named versions with Jelly Bean 4.1 released in July 2012. By the time Google comes out with its next major Android update, it will be the longest the platform has ever gone without a new named version. We don’t know when the next version is coming, but a fair presumption is that Android 5.0 Key Lime Pie will drop sometime this fall, just in time for the holiday device buying season. When it comes to Google’s Android flagship Nexus devices, the search giant has a massive balancing act to perform. On one hand, it needs to stroke the egos of its primary manufacturing partners like Samsung, HTC and LG. On the other hand, it has a legion of loyal Android fans that just want their new Nexus devices to be the best of the best, run un-skinned and unadulterated Android and be reasonably inexpensive. The “Google Edition” versions of the Galaxy S4 and HTC One are a compromise from Google between these two factions. Users get the chance to get some of the best devices currently on the market running the stock Android user interface. Manufacturers get the privilege of having “Nexus” editions while also being able to charge full price for their top devices. Google wins because it was able to get ostensible Nexus devices to market without yet having to come out with a new version of Android. How will this play out in the future? LG made the last Nexus smartphone but has said that it will not be making the next one. 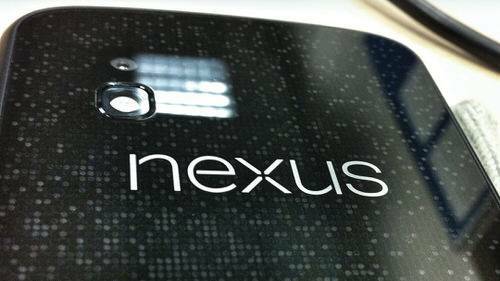 Samsung had the previous two Nexus smartphones before that (as well as the Nexus 10 tablet that shipped last November) and HTC made the first Nexus device. Asus has made the Nexus 7 tablets thus far. Google owns Motorola and has said that it treats the company like any of its other Android manufacturing partners, which would put Motorola in the running for a Nexus device in the future.